Custom designed home built by JA Long Design Builders. 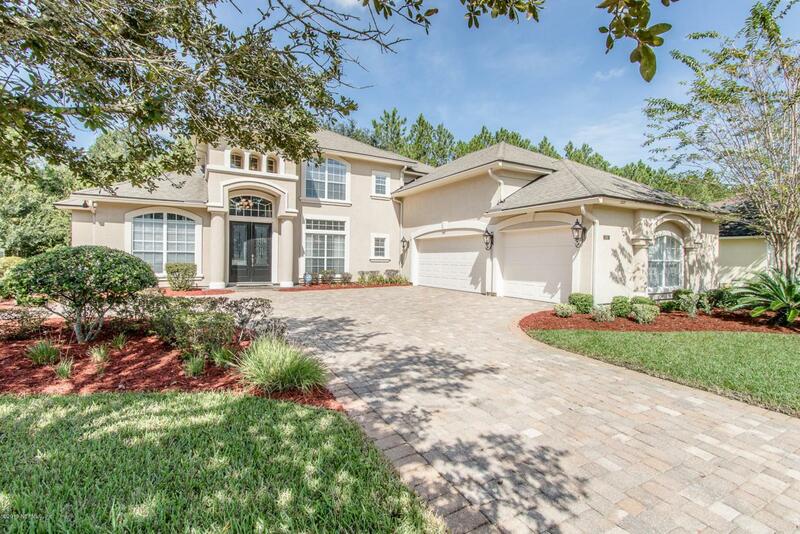 This fabulous pool home has it all! Situated across from the 12th hole of the Eagle Landing Golf Course, right in the heart of Oakleaf Plantation, you have every amenity you could think of! 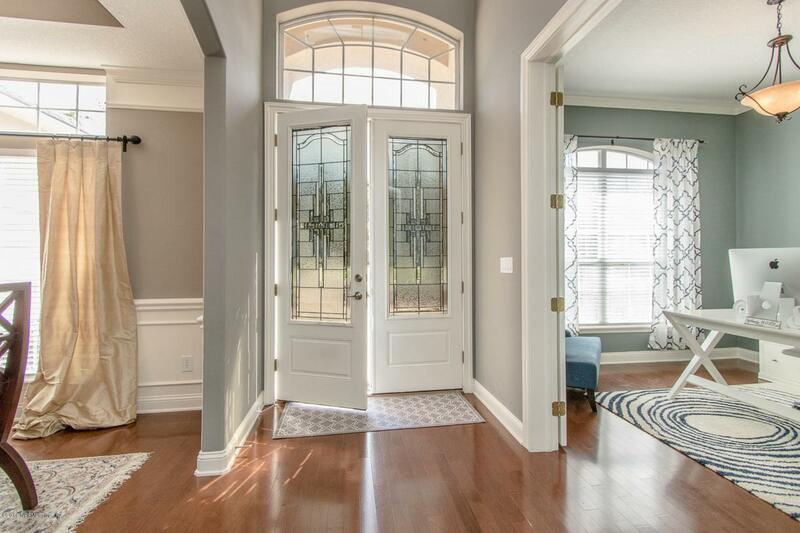 Stunning from the moment you enter this well-appointed home. The gourmet kitchen boasts a 5-burner gas cook top, a convention/speed cook/microwave oven, a convection oven, warming draw in the preparation island, granite countertops, large walk in pantry with custom shelves & separate breakfast nook. The home was built for entertaining with a wine/beverage cooler area downstairs and the wet bar with refrigerator in the loft area. The great room with its hardwood floors, cozy gas fireplace, built in cabinets, and sliding panel above the fireplacdisguising the wall mounted hideaway TV, is the perfect place to relax. The open living space offers volume coffered ceilings, crown molding, upscale lighting, and its dramatic windows enhance the view of the screened salt water pool and spa, with coral tile pool deck. Sliding screen doors take you to the private screened grilling area to the side of the patio. Great outdoor space for entertaining family and friends and fun in the sun. The owner's suite with huge walk-in closet, grand sitting area separated by columns, double tray ceilings, a deluxe master bath with huge walk-in spa shower, double vanities with marble tops and beveled mirrors, and garden tub and will make you feel like you're on vacation in your own home! Two additional bedrooms, a Jack-n-Jill bath and a pool half bath, large laundry room w/built-in ironing board and 3-car courtyard entry garage round out the downstairs. Upstairs features a large bedroom, full bath, loft w/wet bar and a bonus room/bedroom (non-conforming, no closet). The custom features in this home will delight you.